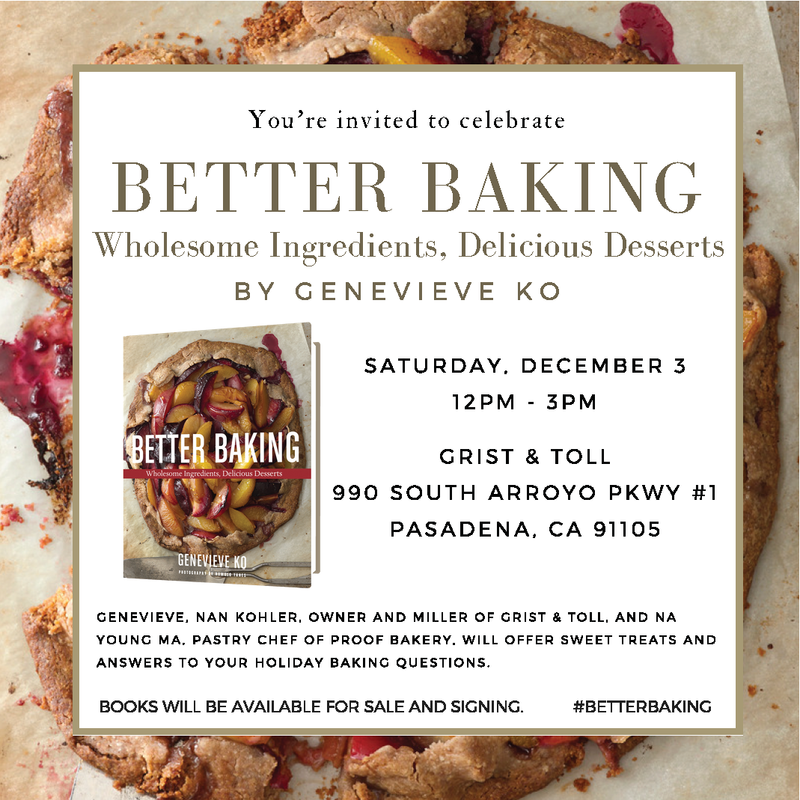 Saturday December 3rd from 12-3pm Genevieve Ko, author of Better Baking and Na Young Ma, owner of Proof Bakery, will be joining Nan at the mill for a book signing and discussion on holiday baking with whole grains. All 3 bakers will be baking and bringing some holiday baked goods featuring recipes from Genevieve’s book utilizing Grist & Toll whole grain flour. Free and open to the public.